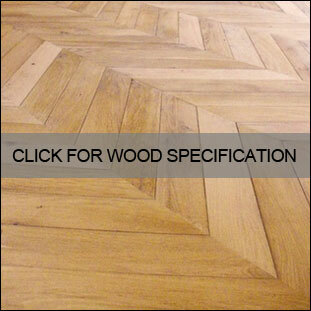 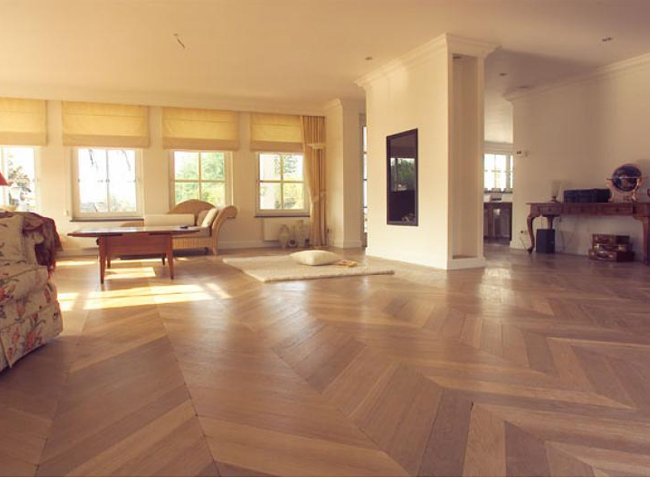 This European patterned wooden floor is a well known and loved engineered parquet floor from mainland Europe. Supplied in individual wooden strips and unfinished for on-site finishing, this floor has been engineered with a 4mm thick hardwood top layer for stability and is ideal for laying over underfloor heating. 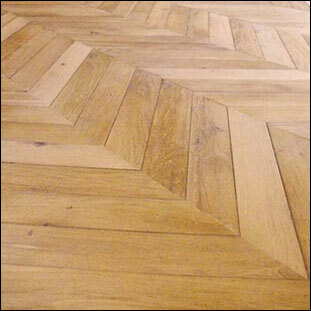 * Ideal for modern & traditional installations. 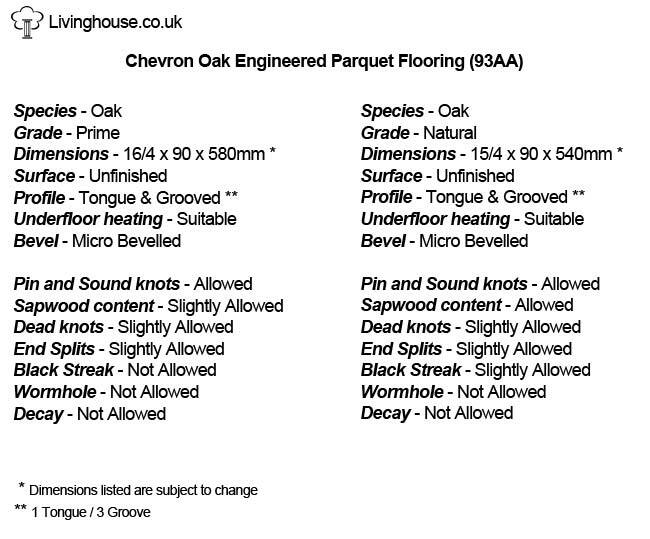 * Engineered chevrons - 45 degrees. 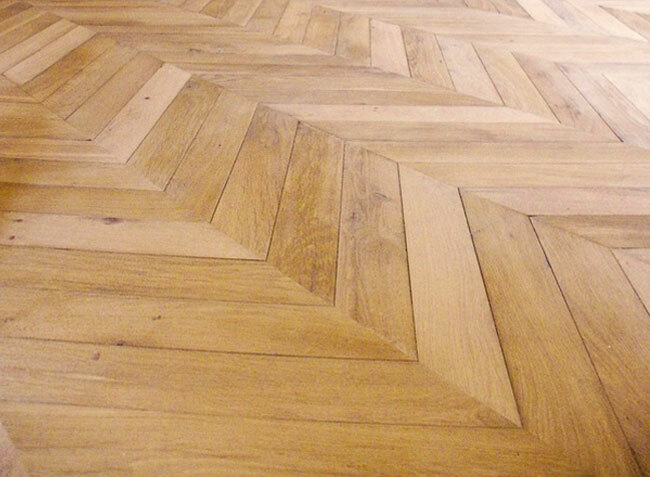 * Bespoke sizes available (min order 50m2).